The Power of Personal Perspective. On Friday I was privileged to present the opening keynote at the Fernwood Fitness national conference. 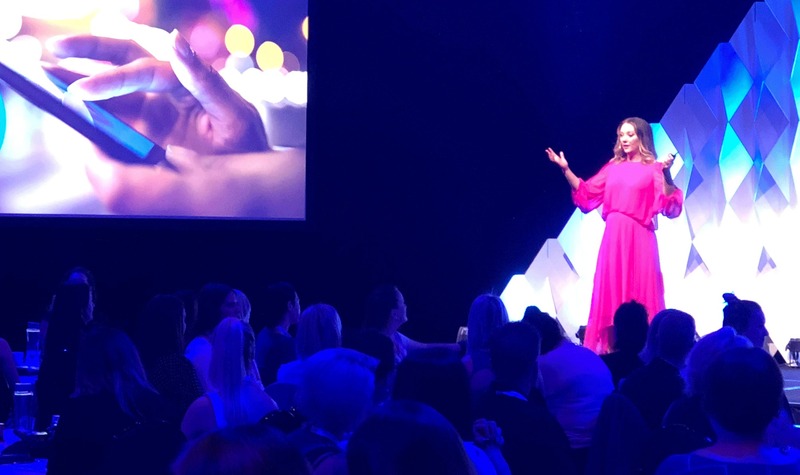 300 passionate franchisees were in the room to hear the latest research and insights on today’s consumer – specifically their target customer, Australian women. I love the challenge of an opening keynote: it’s a huge responsibility as a speaker to not only deliver solid content, but to also bring the right energy and emotion to set the tone for the entire conference. As part of my presentation I shared some fresh research on Australian women, their approach to fitness, health and weight loss and discussed the fact that when it comes to women and weight loss, there is usually a ‘back story’. Often, the relationship women have with their bodies is complex and multidimensional and can often be steeped in past circumstances, experiences, pain and stories we tell ourselves over a number of years. My message to the audience was when you can get to the deep stuff, you can connect on an emotional level and build a relationship that’s based on much more than classes attended, weights lifted and the kilos lost. I could have communicated this message in an authoritative way with statistics, research and case studies, which I did. I could have shared my own personal journey of joining Fernwood six months ago and my perspectives of seeing the brand experience through the eyes of a member, which I did. But I also decided to go out on a limb and share my own ‘backstory’ of infertility and the impact it has had on my relationship with my body over a number of difficult years, including several rounds of IVF. It’s a story I’ve never fully shared publicly before and it took me way out of my comfort zone. It’s possibly the bravest thing I’ve ever done on stage but if the feedback, hugs and deep, open conversations I was privileged to have afterwards are any indication, the message resonated. All the research, data and slick graphics in the world will never communicate a point as powerfully as your own personal perspective. It’s the ultimate form of storytelling. It means being brave and bold but as my good friend Jane Anderson says, there’s nothing quite like ‘stepping into your own personal power’. How could you bring power to your communication this week with greater personal perspective?